I can't see any View Form IE 11, It shows only blank page. Would please provide the solution to fix this. The URL that you have provided here is the URL that works internally when you logged into your JotForm account and when try to open the form from My Forms page. 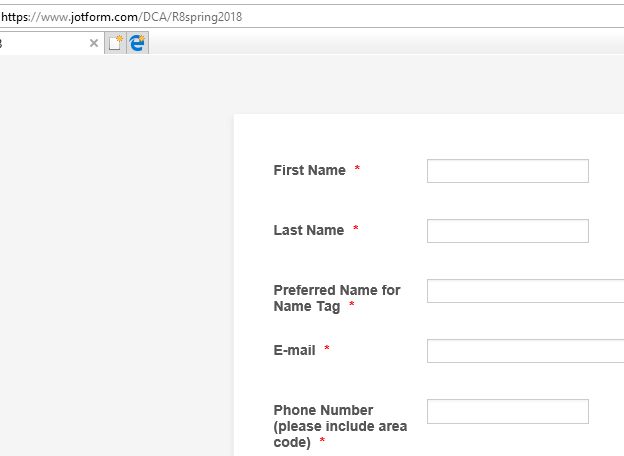 The form should be accessed by using the URL https://www.jotform.com/DCA/R8spring2018. I have tested this form on IE 11 and it is displayed normally at my end. Please check again and let us know if you need any further assistance. We will be happy to assist.